Bike safety is a big issue that everyone who uses streets should be concerned about. Unfortunately, many car drivers seem to block out the presence of cyclists while driving, resulting in plenty of preventable accidents. The Early Winter Night Biking Gloves are intended to give cyclists a bit of extra visibility so that even the most oblivious driver knows there’s a cyclist ahead. 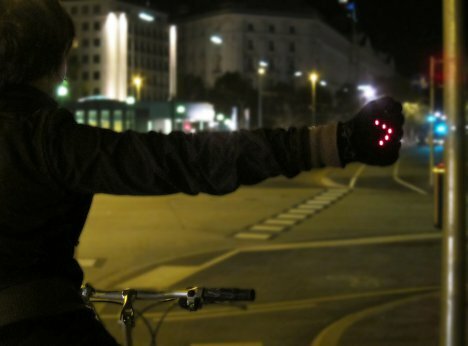 The sweet gloves light up with an arrow on the back when the arm is extended to make a traditional bike signal. The wearer also has to make a fist with that hand in order to turn on the light, cutting down on accidental activations. 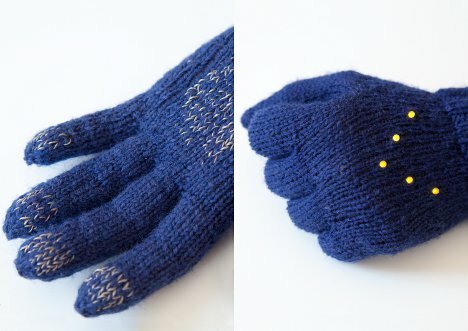 Integrating the LED signals into the gloves allows users to simply continue using the same hand signals they have always used to indicate their turns.